We took this as a challenge to come up with a yummy version that our clients in Santa Clarita could have. Oh you should have seen how many versions ended up in the trash, and even better were the faces we’d make. Some of this stuff was just B-A-D ? But thankfully with persistence we came up with this version that we want to share with you today. It only has three ingredients, it’s low-carb, and totally protein packed. Just the thing you need when it’s “Waffles for breakfast” day or “Sunday Brunch” day. So there you have it. 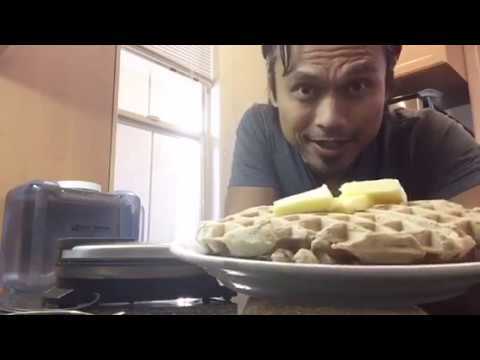 Something that most people aren’t supposed to eat when they’re trying to lose fat, and now you can have waffles all day if you want. Click below to get the waffle recipe along with some delicious bonus recipes we’ve put together for you. Thanks for reading, and if you like today’s recipe please share it with your brunch buddies. This entry was posted on November 12, 2017 at 10:16 am. You can follow any responses to this entry through the RSS 2.0 feed. You can skip to the end and leave a response. Pinging is currently not allowed.